Jason and Jerry are back to discuss a big week in Baltimore sports. First, we gear up for this week’s NFL Draft — going over every possible Ravens option in the first rounds one more time, and then cover the rest of the division’s draft forecast. The guys also touch on Manny Machado’s dust up with Dustin Pedroia and the Red Sox, another week in O’s action, plus Jason’s latest trip down to the farm to check in on a rehabbing Chris Tillman. And saving the best for last, the one and only Ken Rosenthal of Fox Sports joins the show to talk Orioles’ front office, the looming Manny decision, dealing with O’s fans, and if the birds’ bubble may be bursting. Tune in for much more including Jerry’s homework, Jason’s married guy rant, and a check-in on our old friend Jhon Peluffo! Don’t miss it. Jerry and Jason open the show discussing the latest Ravens’ draft possibilities (3:10), and debate Adam ‘Pacman’ Jones’ latest run-in with the media (10:15). The guys then move on to talk about the week’s Orioles-related news before being joined by the Iron Man himself, Cal Ripken Jr. (31:00). Cal discusses 25 years of Camden Yards, the current state of the O’s, and even the resting of NBA players. Also in this episode: Jerry completes(!) his homework for the week, Jason’s married guy rant, and more! Could The Ravens Be Putting Up A Pre-Draft Smokescreen? Jason and Jerry digest the first week of Orioles action before talking Ravens’ draft plans ahead of the upcoming draft. Could the Ravens be setting up a smokescreen by specifically naming WR’s Mike Williams and John Ross? Jason La Canfora thinks the Ravens could find a different 1st Round pass-catcher. Homework, Married Guy Rant, and much more! Crack a couple Natty Boh’s hon and enjoy this abbreviated edition of Bmore Opinionated. The newest Raven, Tony Jefferson, was in town for a press conference and got a little more than he bargained for with the semi snow storm… We’re going to go ahead and blame that storm for stealing some of the quality of the conversation but you still get to know the safety better before he dons the purple and black. The main attraction this week: Coleman finally completed his Orioles related homework. Ed Healy is a friend of Bmore Opinionated who used to intern for the Ravens, and is now working as head basketball coach at Cristo Rey Jesuit High School in Baltimore. We wanted to showcase what Ed and other youth coaches in the area do for the community. You can expect Ed on the podcast in the not-too-distant future. But in the meantime, here are his words talking about some of his experiences as a varsity boys’ basketball coach in this area. When I applied for the head varsity boys’ basketball coaching position at Cristo Rey Jesuit in Baltimore, I really didn’t know a lot about the school. I knew that my college roommate had previously applied to coach the freshman team there when we were seniors. I knew that my teacher and mentor Fr. Tim Brown at Loyola University Maryland had been a part of the team that established the school – but that was it. I, like many in Baltimore, didn’t know much about what happens on the South Chester Street campus in Fells Point. Cristo Rey Jesuit opened in Baltimore in 2007. It is a part of the Cristo Rey network, which has 32 Catholic schools nationwide and the first Cristo Rey school was opened in Chicago in 1996. The central piece of the Cristo Rey model is the Corporate Internship Program, which involves students working entry-level jobs at businesses and nonprofits 5 days a month, which contributes to the cost of their education. To attend Cristo Rey in Baltimore, you must live within Baltimore City and the student’s family must demonstrate low to modest income. From the very first fall practice in 2015, it was clear I would be learning what the phrases “ family of low to modest income” and “Baltimore City resident” meant when blended together. In my time at Cristo Rey, I’ve had players run late or miss practice for reasons I’d never imagined. I once drove the bus off to a summer league game without one of my best players, furious he missed the bus without communicating. The next day, I learned his ride to school had been non-fatally shot in a random drive by. I’ve had a multiple players tell me about being held up at gunpoint. Others have spoken with me at length about the lack of their father in their life. These are just a few of the many situations my players have described to me about their lives that have given me a much clearer sense of the reality of poverty in Baltimore. Despite this, our boys still find a way to show up, attend class, work, and play basketball. Coming into this season, I was pretty excited to get started as we only lost two seniors and our entire rotation returned. However, the product we put out on the court today is not quite what I envisioned last April. The 2016-17 version of the Cristo Rey Hornets only returned 5 of the 9 expected from last season. Zero players from last season’s JV made the varsity. Our roster includes two freshman (one of whom is a starter), 2 sophomores new to our program, a junior who did not play last season, and a senior playing organized basketball for the first time. Crushing blows to our plans for the season hit our team often throughout the fall. On August 30th, our starting center suffered a knee injury in a freak accident and was lost for his sophomore campaign. In November, one senior was removed from the team for violating a team rule. Weeks later, another student took a leave of absence from the program. To reach the goals our team had talked about on our retreat, we knew we would need to have new guys step up and find a way to contribute. Now having a better understanding of what my guys go through on a daily basis, I knew I wanted to make this year as special as possible for them. One of the first things I started lining up in the fall were some special speakers. The first of whom I reached out to was best selling author Jon Gordon, who authored “The Hard Hat” which was our team’s summer reading assignment. Two hours after I filled out a general online inquiry, one of his staff members called me and said Jon would like to talk to my team and would be in town for the weekend of the Army – Navy game. I was floored. When Jon spoke to the team, he mentioned that the two previous basketball locker rooms he’d been in were of….the Miami Heat and Oklahoma City Thunder! The fact that someone in that kind of demand wanted to spend time with us meant a lot to our kids. I also wanted to bring in a speaker from my former employer, the Baltimore Ravens. I reached out to former coworkers in public relations, just hoping to get some player who grew up similarly to Cristo Rey Jesuit students. A few months after I reached out, I got an email saying that Steve Smith Sr. wanted to talk to the team. I had to re-read that email a few times before it hit me that a future Hall of Famer wanted to come to our practice. Needless to say, the reaction on some of the kids’ faces when he walked in was priceless. These special moments were just the beginning of what was to come for this team. After going 2-9 through a brutal non-conference schedule, we’ve jumped out to a 6-1 record and a share of 1st place in our conference. On court moments that bring a smile to my face have started to become a regular occurrence. The first big moment belonged to our new senior to the team. The student body president and fan favorite scored his first career points on a deep three pointer in a front of a Friday-night home crowd that went wild as the ball banked in. A week later, our all- conference center threw down a monstrous dunk, something I’ve never seen him do in practice or a game – prior or since. A buzz is starting to build at a school that has never a varsity championship and a basketball program that has never won a playoff game. Our motto we’ve adopted for this season is “Find a Way”. To me, it carries deeper meaning than finding a way to win a game. “Find a Way” is about problem solving, mental toughness, and overcoming challenges we were born into. The mentality that motto has built is a major part of how our guys were able to find ways to win close games so far in league play. As far as what’s next for this group, only time will tell. What I do know is that this is a team of which Baltimore can be proud. Our team and this school wouldn’t exist without the generosity of so many from the Baltimore community and we hope the community can rally around these young men down the home stretch. Regardless of the season’s outcome, the 2016-17 Cristo Rey Jesuit boys basketball team has already found a way to push themselves beyond previous levels of success – a skill I hope they carry with them long after they graduate. How does a Baltimore fan process this Super Bowl? Super Bowl week is finally upon us. Every year, we get random gems in the form out-of-context interviews (or non-interviews) and plenty of hot takes ahead of the big game. From the Baltimore perspective, there aren’t many ways to look at an outcome of the game as a pleasing one. For the entirety of both men’s careers, Joe Flacco and Matt Ryan have been compared against each other. The only two quarterbacks taken in the first round of the 2008 draft, both entered the league under the dubious circumstances of franchises in free-fall and recently-appointed rookie head coaches. Thankfully for Ravens fans, Flacco’s birds had instant playoff success. As fans are well aware, Flacco won at least one playoff game in each of his first five seasons in the league — including a trip to the AFC title game in his first season and a legendary Super Bowl run in year five. Matt Ryan, on the other hand, didn’t build off of modest regular season success in the same way. The Boston College alum didn’t get his first playoff win until his fourth try, sporting a 1-4 record in the postseason in his first five seasons — and failing to make the playoffs at all since the 2012-13 season. However in the last year, the narratives of the two quarterbacks have flipped. The Falcons brought in a new head coach, and Matt Ryan shut up just about all of his critics in 2016 with the top-rated QB performance of the season. If Ryan goes on to win the NFL regular season MVP, and leads his team to a Super Bowl Victory, any lingering doubts over whether Joe Flacco has been overtaken as the top quarterback from the 2008 draft go out the window. On the other side of the matchup, things don’t get any easier as a Ravens fan. As must be the case with most fans of AFC franchises, I can say with relative confidence that no one outside of “Pats Nation” likes Tom Brady or Bill Belichick. I feel like that’s a given. 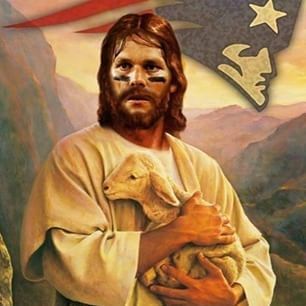 I may be committing a cardinal sin according to fellow embattled Ravens fans, but I believe the best story is Tom Brady and the Patriots winning it all. For all the perfectly good reasons to hate Tom Brady as the “Golden Boy” of the National Football League, there should be the same reasons for Roger Goodell and the league office to love the man. For some reason, though, those looking to “protect the shield” have gone on what has amounted to a full-out conspiracy with the aim of smearing Tom Brady and the Patriots organization. I’ll be the first to hate on the Pats organization for being shady. But beyond being a crybaby on the field when it comes to officiating, Tom Brady has done nothing but be a shining example of everything you’d want out of a starting quarterback. With that in mind, I am rooting for one outcome and one outcome only: a situation where Tom Brady, Bill Belichick, and Robert Kraft are on the same stage as Roger Goodell. Unfortunately, the only way this happens is a Patriots victory. As a Ravens fan, I cannot bring myself to go as far to say that I’m rooting for the New England Patriots. However, as a professional wrestling fan, I’m always rooting for the most petty drama. According to some touts, Tom Brady is currently slated as even money favorite to win the Super Bowl MVP. If that’s the case, we’re going to get the most compelling trophy ceremony in the history of sports. And what’s to hate about that?